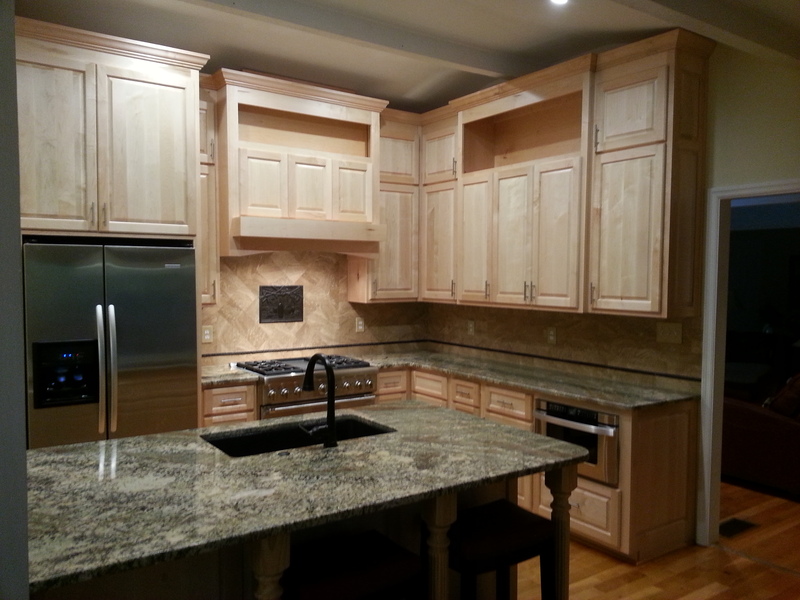 This was surely a dated kitchen with cabinetry that felt a little too woodsy for everyone’s tastes. 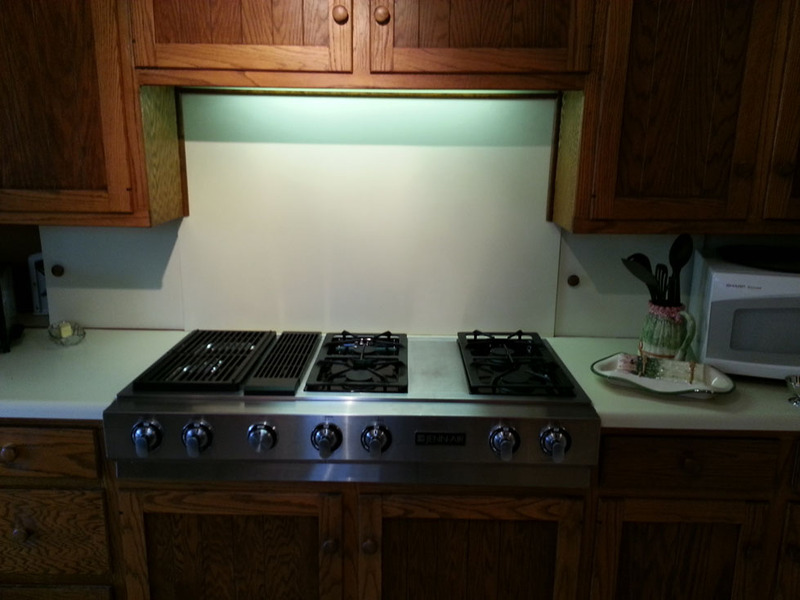 Sure, the Jenn Air stove top was a keeper, but the counters left much to be desired. 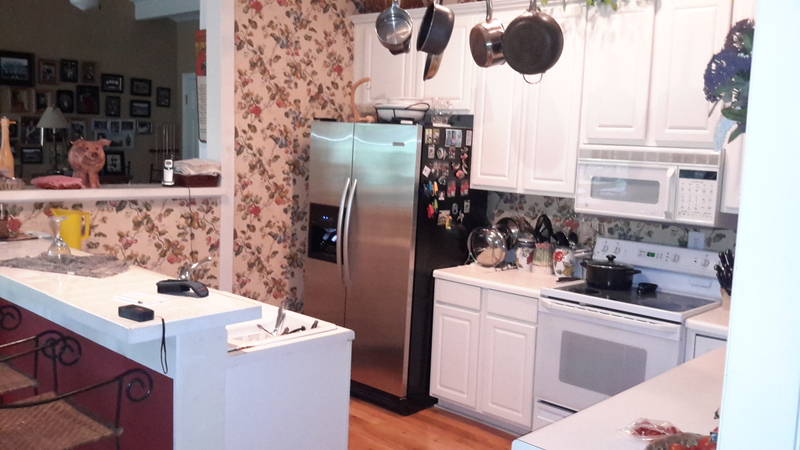 And where is the range hood? The best part? 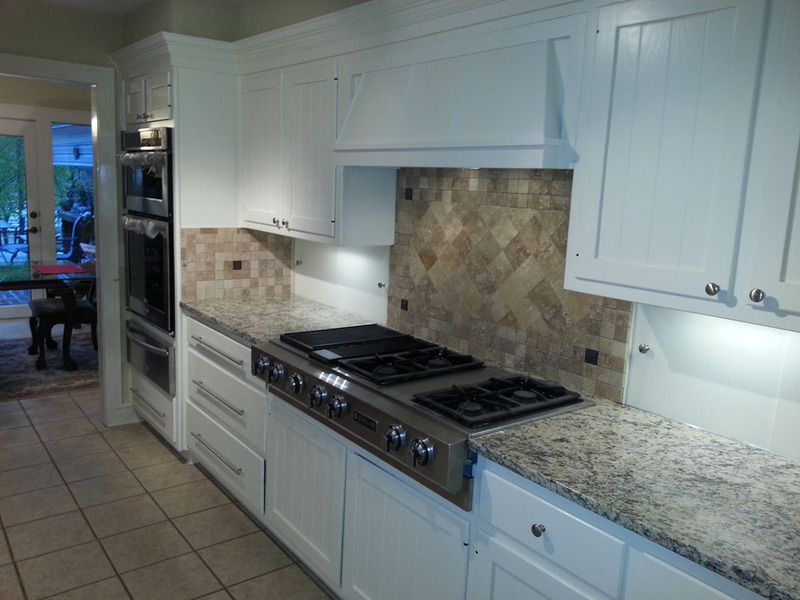 This Kitchen was remodeled on a modest budget and looks and functions like a new modern kitchen. 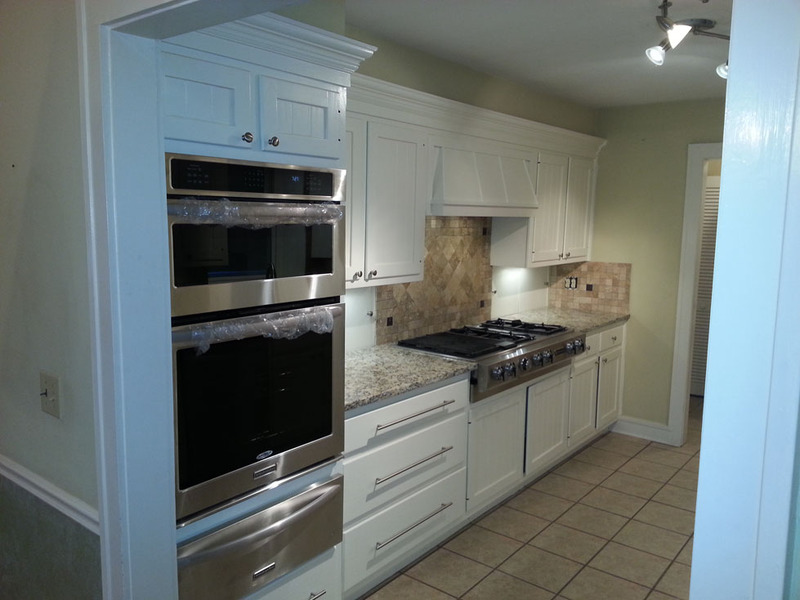 This is your typical well used builder grade kitchen needing some proper care and attention. Do you love the wallpaper? 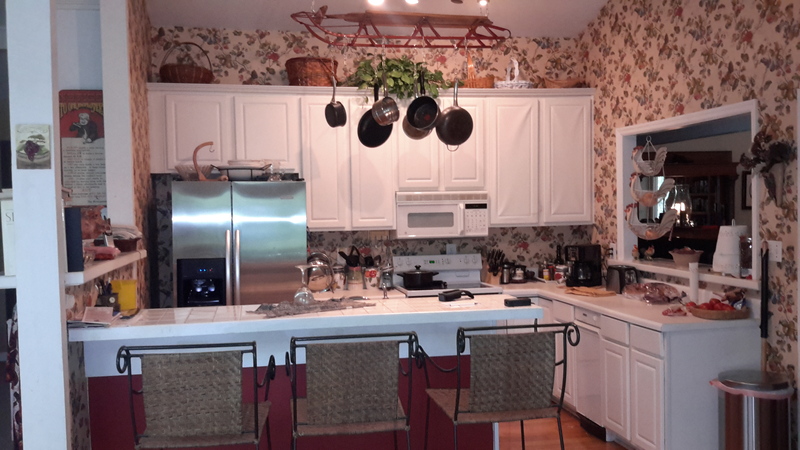 Ron decided to make this kitchen his own with some personal touches that he has always wanted. This island can definitely be improved. 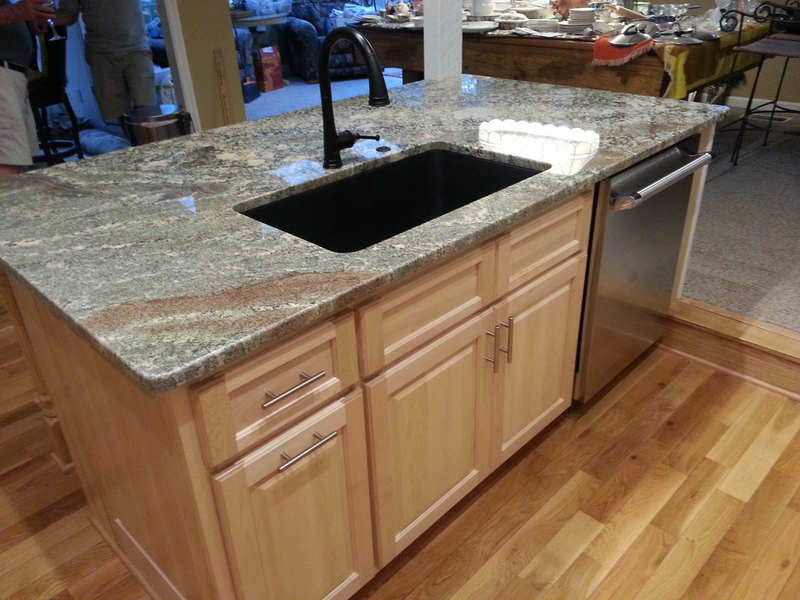 Ron decided to go with custom maple cabinets with bold granite counter tops. 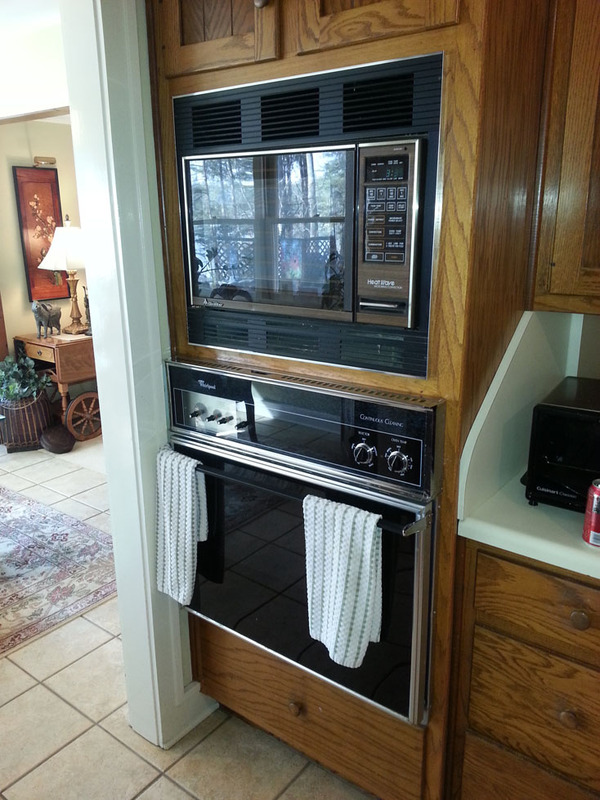 We kept the fridge and upgraded the stove to a dual fuel professional Thermador stove. Now this is an island! We opened an end to walk through, and makes the space feel larger and inviting for guests. 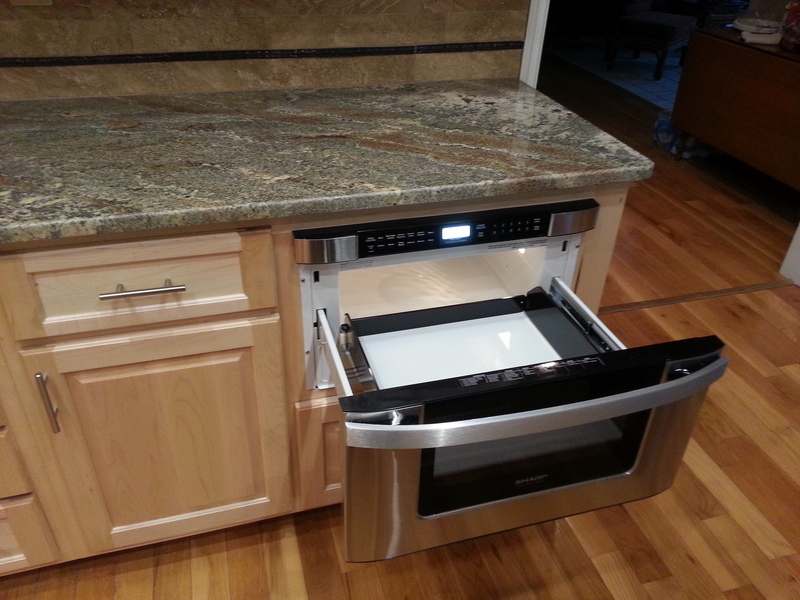 This slide out microwave looks great, and keeps the space looking clean. 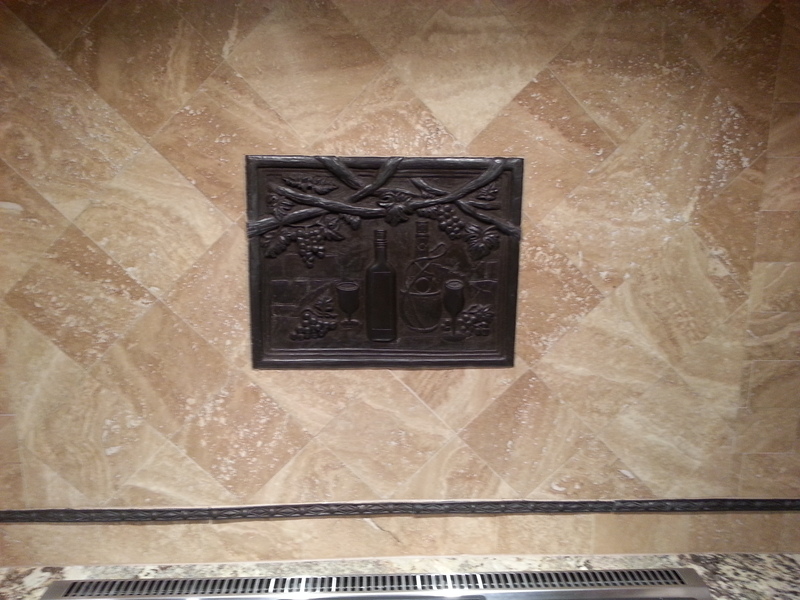 As always it’s nice to have some personal touches like this inlay tile in the Travertine back splash.